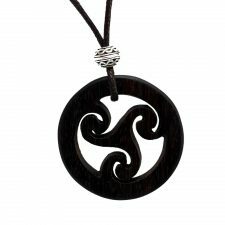 This beautiful Mother & Child Celtic Wooden Pendant is handcrafted using the off-cuts of musical instruments to create a quality Irish gift. 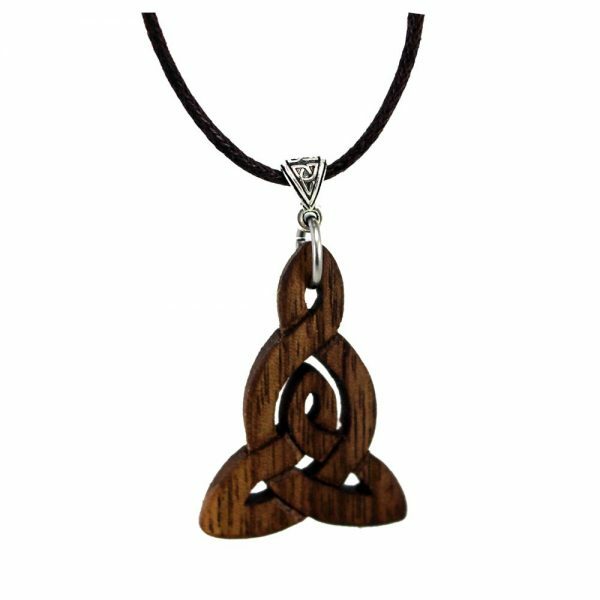 This Celtic design is a unique take on a typical Celtic symbol. 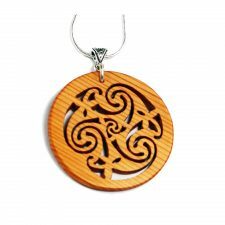 A small Celtic knot sits within a larger Celtic knot representing a mother protecting her child, the love & bond between a mother and her children. 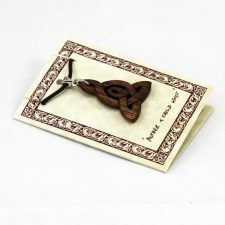 The sentiment of this Celtic pendent is really very sweet and this is a very special gift. The Mother & Child Celtic Wooden Pendant is handcrafted in the ancient methods of Celtic knot-work by Fretmajic, Co. Galway, Ireland. 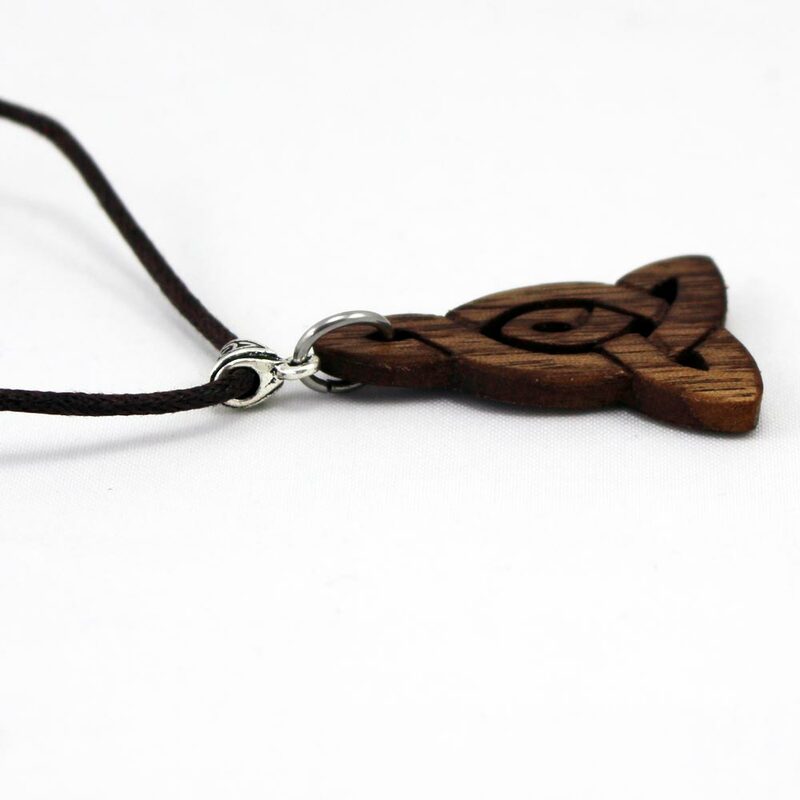 This Celtic pendant is handmade using beautiful walnut wood, which is sealed with a non-toxic oil to product and enhance the natural colour and really brings up the natural grain in this wood. 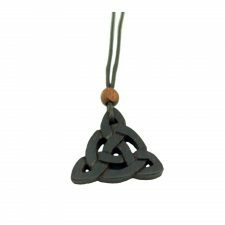 The Mother & Child Celtic Wooden Pendant comes on a brown waxed adjustable cotton cord and is decorated with a quality lead free pewter Trinity Celtic bail. Celtic Knots have a common design feature of one continuous line, often weaving around itself, having no beginning and no end. 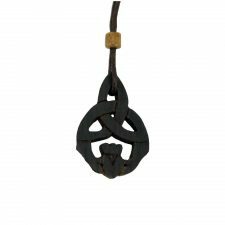 These designs represent the ancient Celts’ belief in the eternal spiritual life and the relationship with the divine and with nature. Mother & Child Celtic Wooden Pendant, beautiful wooden gifts made in Ireland.